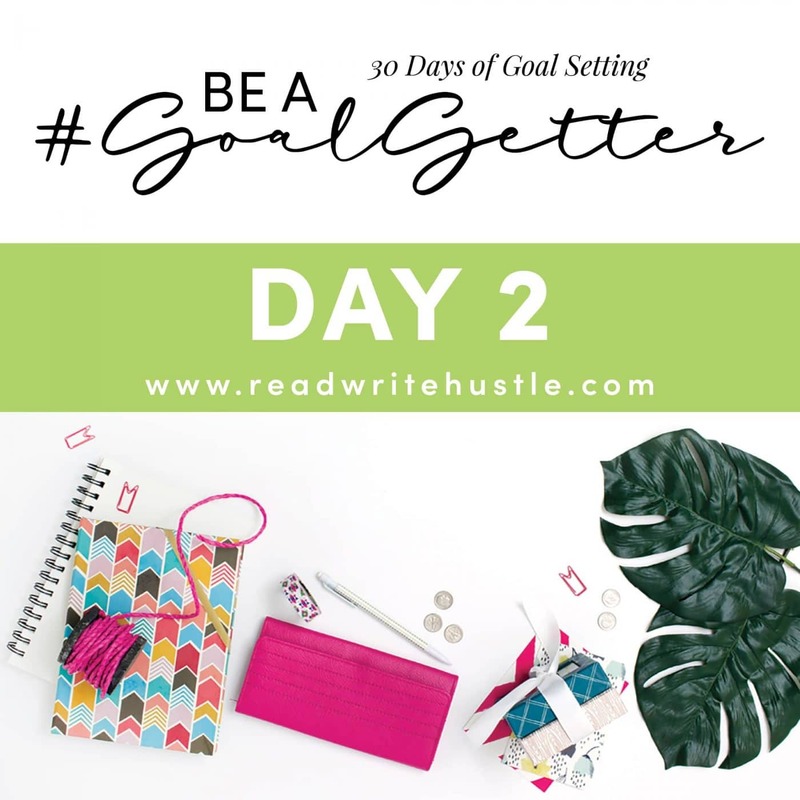 Day 2: The Importance of Setting Goals » Read. Write. Hustle. How many times have you heard someone say “it’s important to set goals”? I readily admit that it’s one of the big, huge, ginormous things that matter, but can always seem just out of reach. I think it’s because the concept is pretty abstract. The problem is that in order to make goal setting really stick, we need to look at what creating intentional objectives can do for you. That’s what I want to work on now. Let’s move on to the importance of goal setting and the differences in can make in your life. Want to know the quickest way to fall into a cycle of complacency? Not setting specific and concrete goals. You know what I’m talking about, right? That feeling of spinning your wheels and going nowhere, of living your life on auto-pilot. Setting goals and evaluating your progress allows you to visualize your intended outcome. It gives you focus and a sense of control in your life. That’s motivating and totally essential to move forward. Sometimes what we want seems too massive to consider. Fun fact: making a resolution helps you break your ginormous dreams into smaller, more manageable portions. They help you track your progress and enable you to see results as they happen. Knowing you want to earn more is well and good, but it’s a goal that can leave you floundering. Resolving to learn and apply new marketing techniques to help you earn more sounds a little less intimidating. Goals help keep you accountable to yourself. Unfortunately, this can get tricky because it’s so easy to ignore promises you’ve made to yourself. That’s why it’s super important to share your goals with people close to you. If you decide to keep your resolutions to yourself, write them down somewhere and add regular check-ins to your calendar. Accountability will keep you motivated so you can make those dreams a reality. People simply resp9ond better to accountability. Period. Goals let you focus on what you really want to accomplish. They give you purpose and serve as a map to guide us. When you decide to do something different, you make changes to achieve that. You’re proactive and move forward with purpose rather than just taking what life throws at you. It’s more rewarding to approach your world in this way. These are just a few reasons why goal setting is so important, but I hope they’re enough to get your juices flowing about the benefits of developing resolutions and goals. Keep them in mind as we move forward in our “Be a #GoalGetter” Challenge. PrevPreviousDay 1: Why Do We Make Resolutions?